To get Dolly to the workshop from the garage we hired a trailer from a place near to the workshop and borrowed Ross's parent's landy. 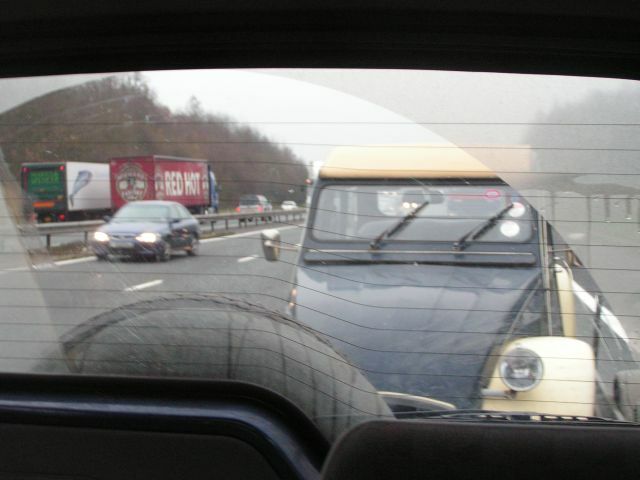 We set off down the M4 armed with good intentions and loving being in the 60mph club. Thanking the lorries for flashing us in kept us entertained for the journey. At the garage we loaded up Dolly onto the trailer, which took a few attempts. 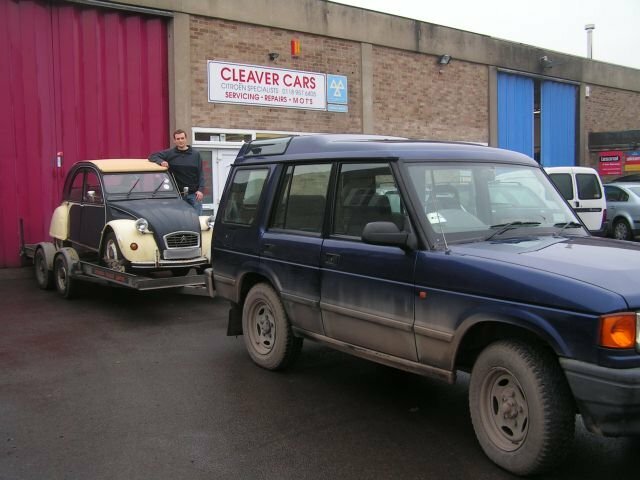 A 2CV is quite a narrow car so we didn't have a great deal of room for manoeuvre, or one wheel would end up hanging in the middle. Couple this need for delicacy with the fact that the steering was quickly becoming an entry in the next "World's Strongest Man" competition and you can see why it took us a while. With the help of a passing mechanic we got her strapped down and set off for the M4. The journey back was uneventful. Dolly wobbled a lot but generally looked peaceful enough. 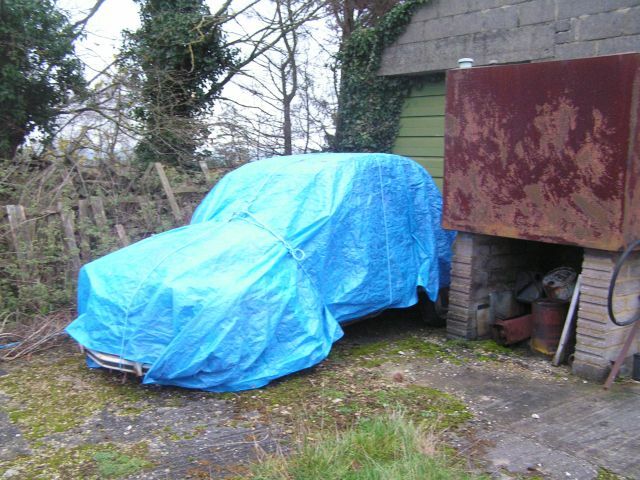 Back at the garage there was no room inside (yet) for the car so we wrapped her up for Christmas in anticipation of starting work in the new year.